On the tail end of a massively disappointing summer comes this excellent modern Western that richly explores the themes of poverty and family legacy in a way that balances art and entertainment in an immensely satisfying way. Hell or High Water also features some of the best screenwriting that I’ve seen this year, with dialogue that’s clever and loaded with plenty of dry humor but also doesn’t come across as manufactured or unnatural. Throw in a few deeply memorable performances and confident, poetic storytelling from Scottish director David Mackenzie and you have one of the film year’s biggest, most unexpected surprises. The story takes place in a desolate region of west Texas hit hard by the economic crash, where highway billboards make empty promises of “fast cash now” and freedom from debt but the feeling of hopelessness is settled deeply in the eyes of its residents. Looking to escape their circumstances are the Howard brothers Tanner (Ben Foster) and Toby (Chris Pine), who begin committing small-time bank robberies in order to help avoid foreclosure on the ranch home of their recently deceased mother. Along with this, Toby also plans to use the funds to repay child support to his ex-wife and hopefully reconnect with his estranged sons. After knocking off two banks in a morning, the Howard boys soon draw heat from the nearly-retired Texas Ranger Marcus Hamilton (Jeff Bridges) and his stoic and patient partner Alberto (Gil Birmingham). The two playfully exchange barbs about Hamilton’s curmudgeonly tendencies or Alberto’s ethnicity at a rate that’s almost hard to keep up with but it demonstrates the kind of oddly caring relationship that the lawmen have with one another. Their investigation eventually lead them to the Howards’ final robbery, in which the two brothers get in over their heads and their amateurish execution threatens to get the better of them. Taylor Sheridan has penned an outstanding script that’s loaded both with poignant dramatic moments and witty bits of levity for comedic effect that can even pop up unexpectedly in seemingly serious interactions. Even Tanner isn’t above a “that’s what she said” crack when Toby comments on the size of a branch bank as the duo drive up to it. But when it’s time to get down to business, Sheridan knows just how to dial these characters in and remind us that these are down and out criminals who aren’t above violence and intimidation to achieve their goals. Foster and Bridges do terrific work in roles that rely somewhat on mannerisms and reactions from performances that the actors have given in the past but it’s Pine that shines brightest here. He modulates the kind of charisma that he brings to a role like Kirk in the Star Trek films and focuses that energy inwards to play a calm and collected foil to the Foster’s loose cannon. 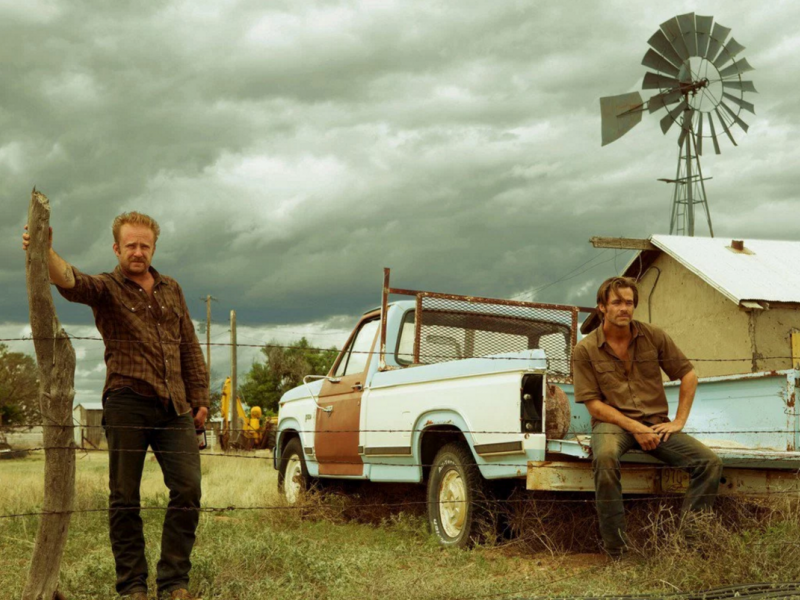 Their unbreakable brotherly bond is just one aspect of Hell or High Water that makes it undeniably great entertainment and worthy of any Oscar consideration (especially Best Original Screenplay) it may receive next February.